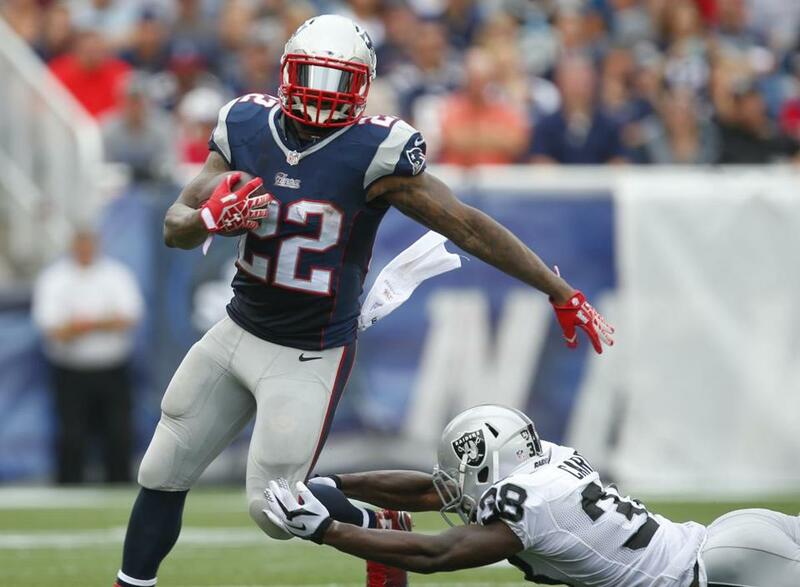 Stevan Ridley wasn’t perfect but he was the most physical running back the Patriots had. FOXBOROUGH — Patriots rookie running back James White has been in New England for only five months, but it didn’t take long for him to realize what set Stevan Ridley apart from the other running backs on the roster. The Patriots won’t have Ridley’s toughness for the rest of the season after he tore the ACL and MCL in his right knee in Sunday’s win over Buffalo. It was an extremely rough break for a player in the final year of his contract who had been very durable. There seems to be a decent amount of nonchalance from Patriots fans about Ridley’s injury. “Running backs have been devalued,” “the other guys on the roster can pick up the slack,” “Ridley fumbled too much anyway,” and so on. That may end up being the case. 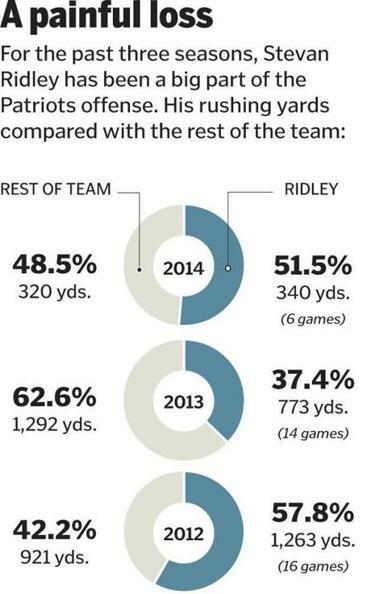 But of the other backs, Ridley is by far the toughest to replace. They have a lot of lightning in Shane Vereen, Brandon Bolden, and White, but not a lot of thunder now that Ridley is out. Several Patriots discussed how the team will deal with the losses of their top linebacker and running back. There’s something to be said for a running back who can hit the correct hole at just the right time, follow his blocks, and keep his legs churning after contact. Ridley isn’t perfect, but he was the most physical and decisive runner the Patriots had. A chiseled 5 feet 11 inches and 220 pounds, Ridley averaged 4.7 yards per carry in the second halves of games in 2012, when he had his breakout year. Last year, it was 4.2. Ridley’s numbers were down this year, averaging just 3.6 yards per attempt overall, but how much of that was a result of defenses loading up the box and not respecting the Patriots’ downfield passing game? The Patriots have other options in the backfield, but the composition completely changes without Ridley. Vereen is shifty scatback, listed at 205. He’s a great receiver out of the backfield, and can hit big runs on draws and spread formations. But he’s a complement to Ridley. He doesn’t break tackles and doesn’t always hit the right hole. Bolden is listed at 220 but he’s more in the receiver mold as well, and not nearly as decisive a runner as Ridley. Bolden averaged 4.9 yards per carry in limited action in his first two seasons, but is averaging just 1.7 this year. White is listed at 205 and is also more in the pass-catching variety than a hard-nosed runner. Running backs may have become “devalued” in free agency and the draft, because they are by far the most prone to significant injury, but they certainly aren’t devalued during a season. Just ask the Seahawks, who rode Marshawn Lynch to the Super Bowl last year. Ask the Texans how good their offense is without Arian Foster, the Chiefs without Jamaal Charles, or the Bears without Matt Forte. In fact, according to Pro Football Focus, 19 teams this season have used one of their running backs on at least 50 percent of snaps. The bell cow still exists. Ridley isn’t quite that valuable to the Patriots, but he is the only running back who can churn out tough yards in the fourth quarter to seal a victory, like he did against Minnesota and Cincinnati this season, his two 100-yard games. That’s why he’s led the Patriots in touches each year since 2012. 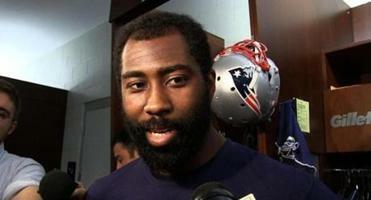 Ridley also makes defenses respect play-action, which is a huge staple of the Patriots’ offense. Ridley also gets a bad rap for fumbling. No doubt, his four fumbles last year were too many. But consider that he fumbled once every 51.75 touches, in the same neighborhood as Lynch, Charles, Reggie Bush, and C.J. Spiller. And that Ridley had bad luck by losing all four fumbles. Julian Edelman, for comparison, led all NFL non-quarterbacks with six fumbles last year, though all six came on high-risk punt returns, and the Patriots recovered all six. Ridley hasn’t fumbled since the Denver game last November, a streak of 161 touches. We’ll see how the Patriots’ run game fares against the Jets. Certainly, their stout defensive front will present a big challenge for the Patriots’ smallish running backs. We don’t know how the Patriots can adapt without Ridley, because they’ve never really had to. He played all 16 games in each of his first two seasons, and only missed two games last year — a 13-6 loss to Cincinnati in which Bolden and LeGarrette Blount combined for 75 rushing yards (Vereen was also hurt), and the 34-31 win over the Texans, when Ridley was benched and publicly shamed for his fumbling, and his four replacements combined for 88 rushing yards. Here’s betting that the Patriots find another way to add a big-bodied running back to the roster. Last year, they at least had Blount to carry a lot of the load. There’s been a lot of talk about re-signing BenJarvus Green-Ellis, but he missed most of Bengals training camp with a hip injury and might not be the answer. Develin might have to shoulder more of the short-yardage load. But their best bet is probably to add practice squad running back Jonas Gray, who ran hard and decisively in the preseason. Gray hasn’t been on an active roster in three NFL seasons, but he’s 230 pounds. The Patriots better hope Gray took good notes. Because the offense might lose a lot of wattage without Ridley’s power.